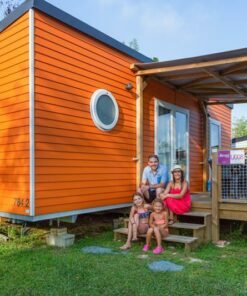 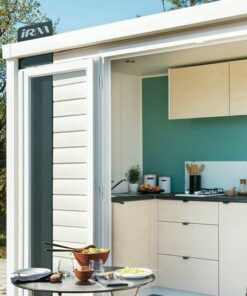 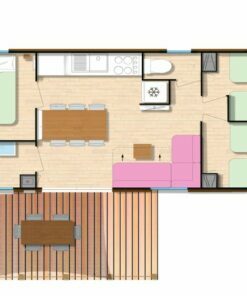 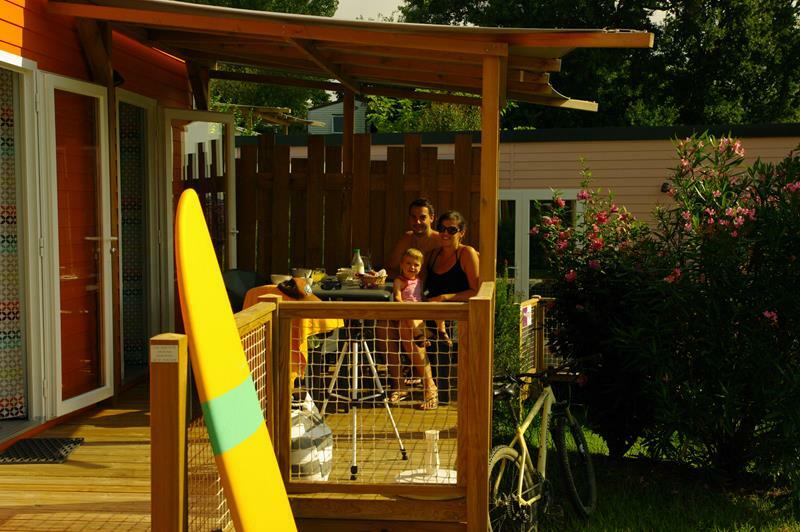 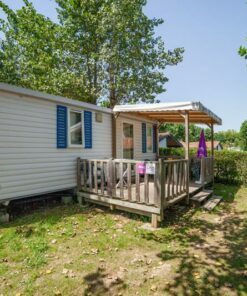 In the Sunny*Premium family, I ask for the 3 bedroom mobile home for 6 to 7 people with a taste for luxury for an ultra comfortable holiday! 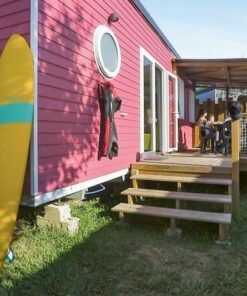 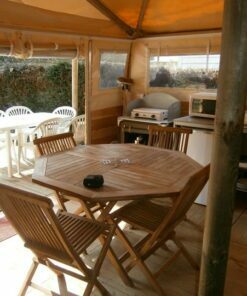 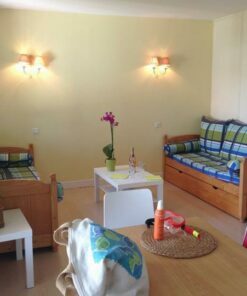 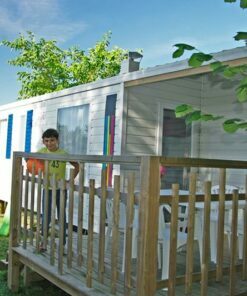 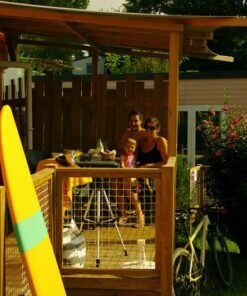 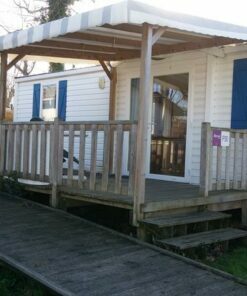 Mobile home rental Sunny*Premium 3 bedrooms at Camping Oyam 4****. 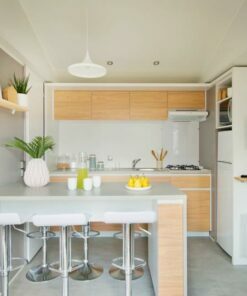 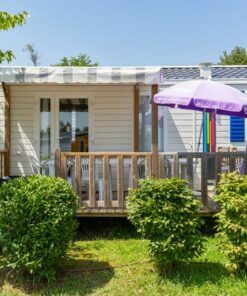 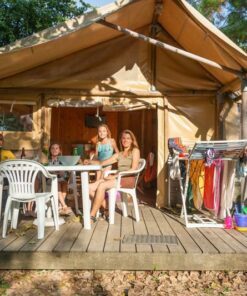 The top-of-the-range SARIMENDI 3-bedroom mobile home with its beautiful covered terrace is the super-equipped model for all those who want to camp with the family’s well-being in mind. 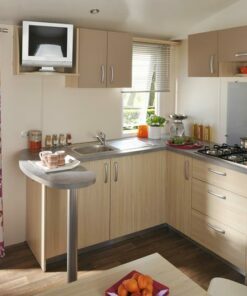 This accommodation offers top-of-the-range facilities and absolute comfort with quality services. 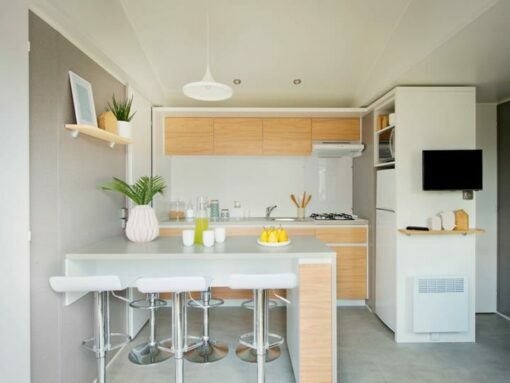 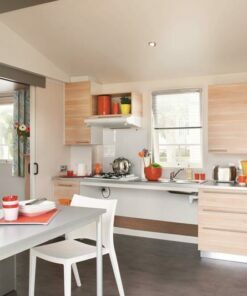 The kitchen is entirely designed to make your stay easier thanks to the standard dishwasher and the Nespresso coffee maker with capsules among its many advantages (air conditioner). 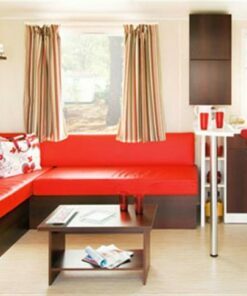 Add colour to your holiday with an ultra-modern and bright decoration. 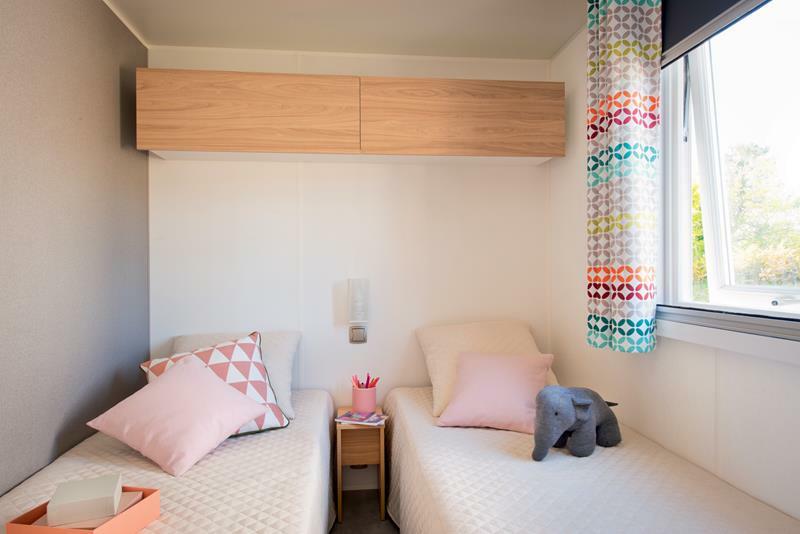 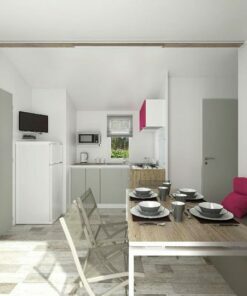 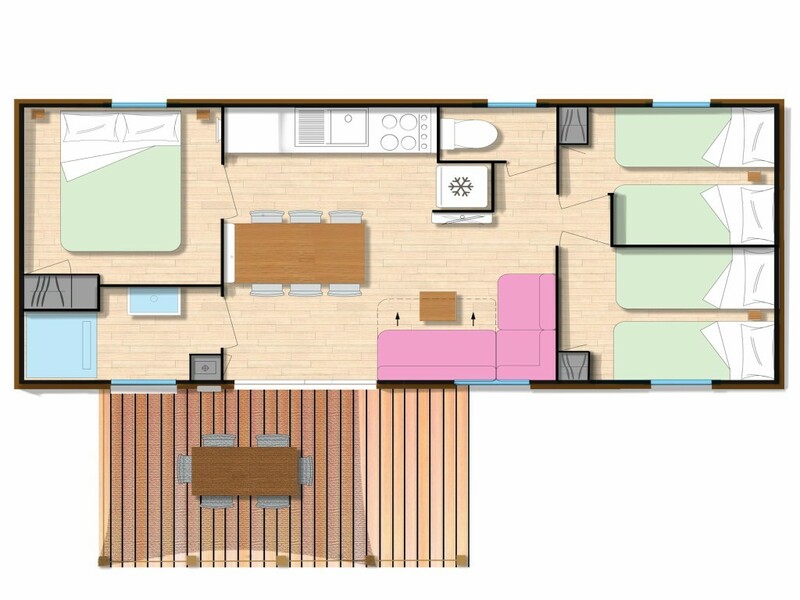 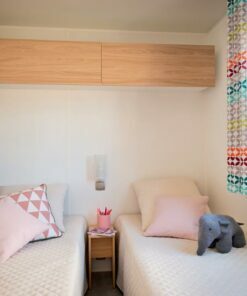 The living space with its contemporary lines offers a contemporary layout that enhances the openness to the outside world sought by today’s campers. 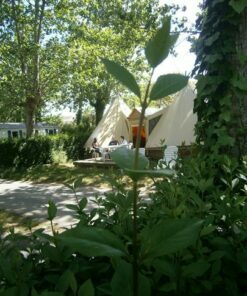 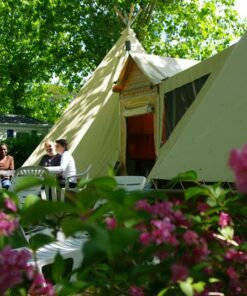 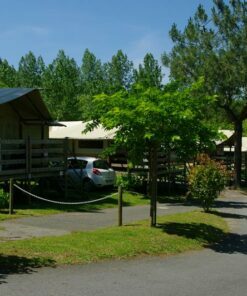 1 WIFI Pass (1 per rental) is offered to PREMIUM guests and an exclusive satellite TV package will guarantee you friendly evenings with the whole family before a good match or a recent movie with CANAL+ channels, beIN Sports and many others… Also enjoy this luxury rental while enjoying the benefits of Camping Oyam. 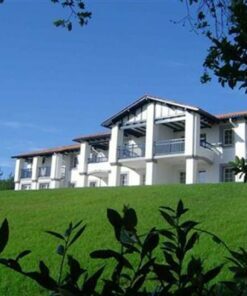 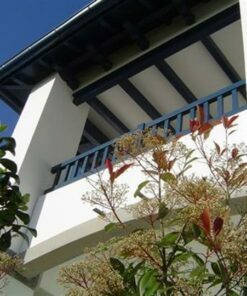 Next to Biarritz, come and discover your accommodation in one of the most beautiful villages in the Basque Country: Bidart.